DETAILS : - Product order includes 6 tumblers that are each 24 ounces. 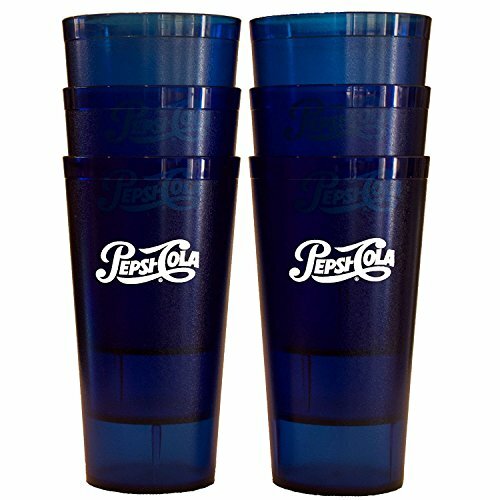 - Engraved on the product is the Pepsi logo written in a beautiful script. RESTAURANT TUMBLERS: These are typical tumblers that you may find at a restaurant you visit. The cups will be perfect for homes, parties, cafes, dinners, or even just casual use. DARK BLUE COLOR: The blue, dark ocean color of these cups give off a luxurious vibe that allows for the users of the cup to experience the ambient vibes that are released the moment your mouth achieves contact. LARGE VOLUME: With 24-Ounces of volume and 6 cups to fill your refreshments with, the large cups will save you the hassle of constantly refilling your beverages and allow you to enjoy your drink. If you have any questions about this product by Pepsi, contact us by completing and submitting the form below. If you are looking for a specif part number, please include it with your message.